The Book of Revelation is one of the most difficult of biblical books to understand, depicting the clash of cosmic powers, the interplay of bizarre images, and the specific problems of particular churches in the Roman province of Asia. Despite its opacity, Revelation has enjoyed great influence down through the ages, an influence felt in art, literature, and theology. The relative ease with which its images can be adapted to varied situations, however, has produced problematic interpretations that are far from what the author intended. Many misinterpretations of Revelation result from lack of appreciation of its original contexts: historical, social, literary, theological. 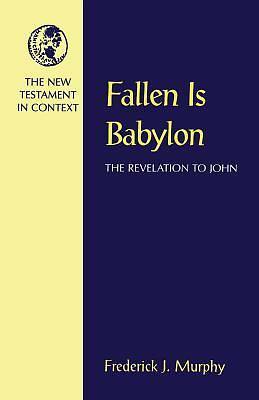 To address this problem and to enable today's readers to understand how the book would have been read by early Christians, this commentary makes available the best in recent and classic biblical scholarship on Revelation and its setting. The result is that the reader will see Revelation in its original contexts and thereby fully comprehend it as one possible Christian response to specific conditions in the eastern Roman Empire in the first century. Frederick J. Murphy is professor of religious studies at the College of the Holy Cross in Worcester, MA, and the author of The Religious World of Jesus and Pseudo-Philo: Rewriting the Bible.